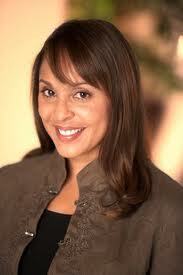 When I am asked to name poets who have shaped my writing, one of the first that comes to mind is Natasha Trethewey. Though I haven’t read all of her work, and she may not be my favorite writer, she was the first poet I encountered who demonstrated how formal elements can be used in contemporary poetry to shape a poem, add urgency, and hold disparate ideas and images together. When it was announced last week that Trethewey will be the 19th Poet Laureate, beginning this fall, I was thrilled that someone whose work has taught me so much is being honored this way. Trethewey’s poetry isn’t necessarily groundbreaking, and she falls into a very safe contemporary vein. Marjorie Perloff recently railed against Trethewey’s work in Boston Review, describing Tretheway’s poetry as “enjambed free verse, [with] prose syntax, transparent language peppered by what passes for ‘literary’ phrasing […and an] emotional crescendo, dubious in its easy conclusion[,]” but Trethewey’s command of craft is impressive, especially in her most recent work. Perloff is focused on Trethewey’s first collection, Domestic Work (Graywolf, 2000), which, though fine, doesn’t show the scope her recent work does. I first encountered Trethewey’s poetry in her book Native Guard (Houghton Mifflin, 2006). Where Domestic Work is focused on the home, specifically Trethewey’s childhood home (she dedicates the book to her father, and various poems are about or dedicated to her mother), Native Guard broadens the view to include the culture and history in which that home was made. Trethewey weaves together poems of her mother’s murder (this book is dedicated “in memory” of her mother) with poems of the deep south, especially the first regiment of the Louisiana Native Guards, “the first officially sanctioned regiment of black soldiers in the Union Army,” according to Trethewey’s notes. Trethewey was raised in a mixed race home—her parents were illegally married when she was born—so by the end of Native Guard the dual familial and cultural histories at play become inseparable. One of the most startling poems in the collection is “Incident” in which Tretheway tells of hiding in a darkened house while the Ku Klux Klan burns a cross in her family’s yard. The poem’s strength comes in unsettling the reader not only through disturbing descriptions of the men “white as angels in their gowns” and “the cross trussed like a Christmas tree,” but also through the poem’s pantoum form repeating those lines, driving the images home. Though not explicit anywhere in the poem, it’s hard not to connect “pantoum” to the “phantoms” outside the Trethewey home that night. “Incident” is a culmination of the history Trethewey has given us in the preceding poems, and in the first and last line of the poem—“We tell the story every year”—we aren’t sure whether she means the story in the poem, the story of Trethewey’s mother, or the story of the Native Guards, but we get the sense that all of these stories repeat, but are altered, like the lines connecting the crown of sonnets that serve as the collection’s centerpiece. Though Trethewey displays her craft in all of the poems in Native Guard, this sonnet sequence that makes up the title poem of the collection, Trethewey sustains the tension of history over the course of ten sonnets. The echoed lines are the echos of the history we’re still living. Trethewey’s fourth collection, Thrall, is due out from Houghton Mifflin Harcourt in September, the same month her duties as Poet Laureate begin. Two years separated Domestic Work from her second collection, Bellocq’s Ophelia (Graywolf, 2002), four years separated that collection from Native Guard, and now six years have passed since her last collection of poetry, not counting the collection of poems, essays, and letters in 2010 called Beyond Katrina: A Meditation on the Mississippi Gulf Coast. If her track record is any indicator, Thrall will feature Tretheway flexing her poetic muscle within the limited conventional scope. Trethewey’s work keeps alive a tradition against which radical ideas can push, but which is necessary to keep a poetic and cultural history alive. Last year I wrote about Philip Levine, a poet new to me when he was appointed Poet Laureate, and asked for your thoughts on his appointment. I ask the question again, but broader: how do you feel about Trethewey’s appointment, and about the post of Poet Laureate in general? Is it necessary? Is it even helpful to poetry at all?